Sakai Community DocumentationSakai 11 - EnglishSakai 11 Administrator Guide Admin Site PermsHow do I add site role permissions for all sites? Select the site type, role, and permissions to be added. Zoom: Select the site type, role, and permissions to be added. Scroll to the bottom of the page and click the Add Permissions button to save your changes. Prev: What is the Admin Site Perms tool? 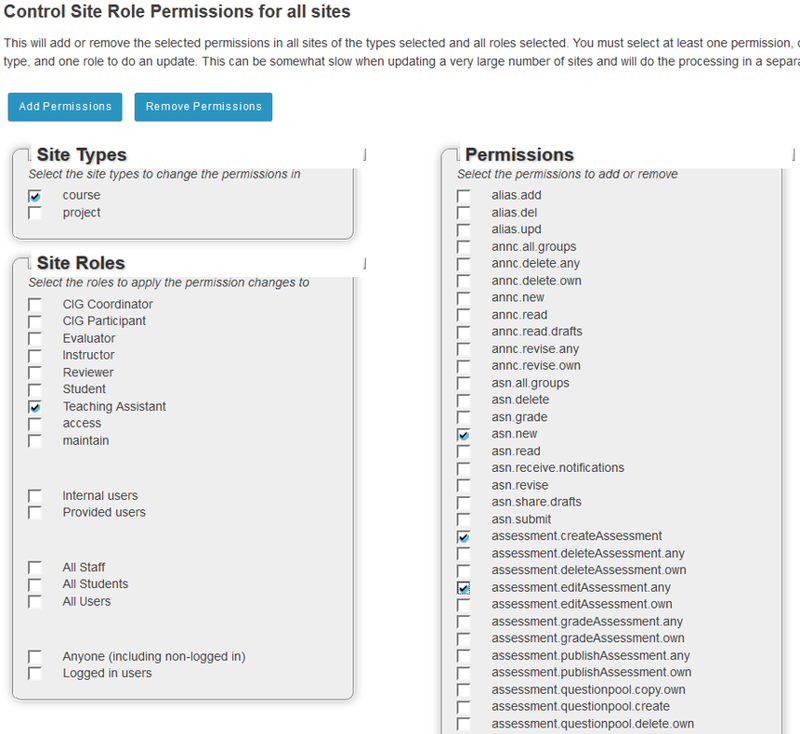 Next: How do I remove site role permissions for all sites?